Ogunde, A., Owolabi, D., Olusola, K. O., Tunji-Olayeni, P., Amusan, L., Joshua, O., & Akhigbe, A. O. (2016). Factors Affecting the Competencies and Project Delivery of Small-Sized Indigenous Construction Firms in Lagos State. Covenant Journal of Research in the Built Environment, 4(1). Della Peruta, M. R., Del Giudice, M., Lombardi, R., & Soto-Acosta, P. (2016). Open Innovation, Product Development, and Inter-Company Relationships Within Regional Knowledge Clusters. Journal of the Knowledge Economy, 1-14. Murray, A., Papa, A., Cuozzo, B., & Russo, G. (2016). Evaluating the innovation of the Internet of Things: Empirical evidence from the intellectual capital assessment. Business Process Management Journal, 22(2), 341-356. Del Giudice, M., Bresciani, S., & Lombardi, R. Call for Papers: Journal of the Knowledge Economy. Scuotto, V., Ferraris, A., & Bresciani, S. (2016). Internet of Things: Applications and challenges in smart cities: a case study of IBM smart city projects. Business Process Management Journal, 22(2), 357-367. ﻿Smith, S. D. (2016). Factors that Motivate Faculty to Pursue External Funding at a 4-Year Public Institution of Higher Education. Dell’Anno, D., Evangelista, F., & Del Giudice, M. (2016). Internationalization of Science-Based Start-Ups: Opportunity or Requirement?. Journal of the Knowledge Economy, 1-16. Adesiyan, B. (2016). Exploring Leadership Strategies to Maximize Profitability in the Nigerian Housing Sector. Gautam, C. M. (2016). Employees’ job satisfaction and switching intention associated with mergers and acquisition of Nepalese Banks and Financial Institutions. International Journal, 36. Del Giudice, M., Campanella, F., & Dezi, L. (2016). The bank of things: An empirical investigation on the profitability of the financial services of the future. Business Process Management Journal, 22(2), 324-340. ﻿Hai, P. N. (2016). The recommendations improving the morale of employees in selected small andmedium sized enterprises in ba ria–vung tau. european journal of business and social sciences, 4(12), 94-104. Adewuyi, T. O., & Odesola, I. A. (2016). Material Waste Minimisation Strategies among Construction Firms in South-South, Nigeria. International Journal of Sustainable Construction Engineering and Technology, 7(1), 11-29. Solima, L., Della Peruta, M. R., & Maggioni, V. (2016). Managing adaptive orientation systems for museum visitors from an IoT perspective. Business Process Management Journal, 22(2), 285-304. ﻿Aggarwal, S., & Bishnoi, A. (2016). Neutrosophic Trust Evaluation Model in B2C E-Commerce. In Hybrid Soft Computing Approaches (pp. 405-427). Springer India. Kennedy, J. P., & Benson, M. L. (2016). Emotional Reactions to Employee Theft and the Managerial Dilemmas Small Business Owners Face. Criminal Justice Review, 0734016816638899. Sutrisno, S. (2016). Struktur modal: Faktor penentu dan pengaruhnya pada nilai perusahaan. Jurnal Siasat Bisnis, 20(1), 79-89. Sepúlveda, W. S., Chekmam, L., Maza, M. T., & Mancilla, N. O. (2016). Consumers preference for the origin and quality attributes associated with production of specialty coffees: Results from a cross-cultural study. Food Research International. Amos, B., Ibrahim, G., Nasidi, M., & Ibrahim, K. Y. (2016). The impact of institutional ownership structure on earnings quality of listed food/beverages and tobacco firms in nigeria. researchers world, 7(1), 20. Hamid, S. (2016). Role of IT industry a case study of State Bank of India in Aligarh City. Soleman, R. (2016). Pengaruh pengendalian internal dan good corporate governance terhadap pen cegahan fraud. jurnal akuntansi & auditing indonesia, 17(1). Hossain, M. I., & Hossain, M. A. (2015). Determinants of Capital Structure and Testing of Theories: A Study on the Listed Manufacturing Companies in Bangladesh. International Journal of Economics and Finance, 7(4), p176. Makri, E., & Ntalianis, F. (2015). Post M&A ill-health: Main, moderating and mediating effects of job stressors and perceived organizational support. Employee Relations, 37(2), 176-191. Hawi, R., Okeyo, G., & Kimwele, M. Techniques for Smart Traffic Control: An In-depth. Mahajan, M. (2015). Study of customer satisfaction of corporate customers of telecom service operators. Inuwa, I. I., & Kunya, S. U. (2015). Project Management Theory Exploration for Indigenous Contractors’ Project Planning in Nigeria. International Journal of Applied, 5(3). Noor, T., Sinaga, B., & Maulana, T. N. A. (2015). Testing on pecking order theory and analysis of company’s characteristic effects on emitten’s capital structure. Indonesian Journal of Business and Entrepreneurship (IJBE), 1(2), 81-89. Aisyati, A., Jauhari, W. A., & Rosyidi, C. N. (2015). Developing Inventory Policy for Aircraft Spare Parts using Periodic Review Model. Industrial Engineering Letters, 5(3), 15-22. Kontrec, N. Z., Milovanovic, G. V., Panic, S. R., & Milo�evic, H. (2015). A Reliability-Based Approach to Nonrepairable Spare Part Forecasting in Aircraft Maintenance System. Mathematical Problems in Engineering, 2015. Kanu, A. M. the effect of corruption on small and medium enterprises: perspective from a developing country. Kennedy, J. P. (2001). A View from the Top: Managers� Perspectives on the Problem of Employee Theft in Small Businesses (Doctoral dissertation, Eastern Michigan University). Yadav, K., Tiwari, S., & Divekar, R. (2015). Impact of Technological Changes in Telecom Sector in India. Indian Journal of Science and Technology, 8(S4), 194-199. Sharma, R. (2015). HRD Policies of Regional Rural Banks in Haryana. The International Journal of Business & Management, 3(3), 261. Sharma, R. (2015). Financial analysis of regional rural banks in Haryana. International Journal of Education and Management Studies, 5(1), 48. Babatunde, Y., & Pheng, L. S. (2015). Cross-Cultural Management and Quality Performance: Chinese Construction Firms in Nigeria. Springer. Kushwaha, G. S., & Agrawal, S. R. (2015). An Indian customer surrounding 7P? s of service marketing. Journal of Retailing and Consumer Services, 22, 85-95. Irisappane, A., & Sundar, V. (2015). Performance Evaluation: Banking Funds. SCMS Journal of Indian Management, 12(2). Sherpa, M. O. the international journal of humanities & social studies. Poongavanam, S. challenges of banking industry. korea, 107, 5-5. Triki, C. (2015). Location-based techniques for the synergy approximation in combinatorial transportation auctions. Optimization Letters, 1-15. Meriastuti-Ginting, J. J. Fuzzy Continuous Review Inventory Model using ABC Multi-Criteria Classification Approach: A Single Case Study. Mudi, A., & Bioku, J. O. Assessing the Characteristics of Nigerian Construction Industry in Infrastructure Development. ﻿Hsu, Y. (2015). Organizational innovation strategies: the value co-creation strategy (vcs) model. international journal of organizational innovation (online), 8(2), 6. ﻿Chandra, T. (2015). The Determinants of the Capital Structure: Empirical Evidence from Indonesian Stock Exchange Companies. revista kasmera, 43(2). Russo, G., Marsigalia, B., Evangelista, F., Palmaccio, M., & Maggioni, M. (2015). Exploring regulations and scope of the Internet of Things in contemporary companies: a first literature analysis. Journal of Innovation and Entrepreneurship, 4(1), 1-13. Turyakira, P., & Mbidde, C. I. (2015). Networking for SMES in Uganda: A conceptual paper. African Journal of Business Management, 9(2), 43. ﻿Kennedy, J. P. (2015). Functional redundancy as a response to employee theft within small businesses. Security Journal. Trequattrini, R., Lombardi, R., Lardo, A., & Cuozzo, B. (2015). The Impact of Entrepreneurial Universities on Regional Growth: a Local Intellectual Capital Perspective. Journal of the Knowledge Economy, 1-13. Azizian, S., Zarei, B., Shishehgar, M., & Sadeghi, S. Toward a novel business model for marketing networked companies. Somo, S. A., & Naz, F. (2015). Consumers perception of quality, attitude and consumption intention: a study of young Spanish students consumption of Norwegian salmon. Umamaheshwari, M. (2015). Financial performance of select scheduled commercial banks in india with reference to pre and post recession period. Del Giudice, M., Evangelista, F., & Palmaccio, M. (2015). Defining the Black and Scholes approach: a first systematic literature review. Journal of Innovation and Entrepreneurship, 5(1), 1-13. Behm, M. Proceedings CIB W099 Belfast 2015. Waziri, A. Y., Ali, K. N., Aliagha, G. U., & Majid, M. Z. A. (2015). Environment Variables on IT Adoption: A Case of Nigerian Construction Organizations. Jurnal Teknologi, 74(4). Lombardi, R., Del Giudice, M., Caputo, A., Evangelista, F., & Russo, G. (2015). Governance and assessment insights in Information Technology: the Val IT Model. Journal of the Knowledge Economy, 1-17. Fitriani, a. (2015). determinan struktur modal dan nilai perusahaan pertambangan di bursa efek indonesia (Doctoral dissertation). Hema, d. the influence of human resource management practices and proactive personality on job performance among commercial bank employees (doctoral dissertation, school of business, universiti utara malaysia). Ogbu, C. P. Application of Marketing Strategies in Nigerian Quantity Surveying Firms. Hussain, S. S., Hamza, S., & Miras, H. The Determinants of Capital Structure for Malaysian Food Producing Companies. Joshi, V., & Goyal, K. A. (2015). An Empirical Case Study on Employees Satisfaction after Merger in Selected Bank. Productivity, 55(4), 327. Chandra, T. (2015). Analysis of factors affecting capital structure on listed company in kompas 100 index. international journal of applied business and economic research, 13(9), 7049-7066. Zhao, Z., & Atchike, D. Chinese International Contractors in Africa: Market Potentiality and Entry Opportunity. In ICCREM 2015@ sEnvironment and the Sustainable Building (pp. 782-791). ASCE. ﻿Nyaoga, R. B., Wang, M., & Magutu, P. O. (2015). Does Capacity Utilization Mediate the Relationship between Operations Constraint Management and Value Chain Performance of Tea Processing Firms? Evidence from Kenya. International Strategic Management Review, 3(1), 81-95. Hassan, O. M. (2015). An Assessment of the Role of Branding and Packaging in the Product Market. ﻿Amroliwalla, S., & Ruikar, S. (2015). IT Company Merger: A Comparative Study of Employee's Stress and Anexiety. Journal of Psychosocial Research, 10(1), 11. Dolai, D. (2015). Managing Performance for Business Development: The Case of LIC of India. Burt, C. D. (2015). The Job�s Safety Risk Profile. In New Employee Safety (pp. 41-53). Springer International Publishing. Pandey, S., Chawla, D., & Venkatesh, U. (2015). Online Shopper Segmentation Based on Lifestyles: An Exploratory Study in India. Journal of Internet Commerce, 14(1), 21-41. Kuul, M. (2015). Info ja kujunduselementide tajumine tootepakendil olenevalt nende paigutusest ja suurusest (Doctoral dissertation, Tartu �likool). ﻿Vahdati, H., Mousavi, N., & Tajik, Z. M. (2015). The study of consumer perception on corporate social responsibility towards consumers attitude and purchase behavior. Iqbal, A. M., Khan, A. S., Bashir, F., & Senin, A. A. (2015). Evaluating National Innovation System of Malaysia Based on University-industry Research Collaboration: A System Thinking Approach. Asian Social Science, 11(13), p45. Jonny, J. (2014). optimasi persediaan sparepart pada pt xyz menggunakan teknik spare part quantity determination. Industrial and Systems Engineering Assessment Journal (INASEA), 15(1). ﻿Ibrahim, I. I., Daniel, S., & Ahmad, A. (2014). Investigating Nigerian Indigenous Contractors Project Planning In Construction Procurement: An Explanatory Approach. International Journal of Civil & Environmental Engineering IJCEE-IJENS, 14(04), 16-25. Yaro, s. a. (2014). assessment of professional's perception of knowledge and skills requirement of contractors for mass housing construction (doctoral dissertation). Babatunde, Y., & Low, S. P. Cross-Cultural Management and Quality Performance. Dub�, M. E. (2014). Les r�actions affectives � un �v�nement corporatif et les attitudes au travail. Khattak, K., Inderyas, S., Hassan, Z., & Raza, A. A. (2014).relationship between perceived organization support and affective commitment of hospital nurses in pakistan: a mediational model. International Journal of Innovation and Applied Studies, 7(4), 1465. Jalaliyoon, N., Bakar, N. A., & Taherdoost, H. (2014). Propose a Methodology to Implement Balanced Scorecard for Operational Appraisal of Industrial Groups. Procedia Technology, 12, 659-666. Underwood, J. (2014, June). The use and Usefulness of Actor-Network Theory as a Basis for Social Research: A Consideration of Some Recent Publications. In Proceedings of the 13th European Conference on Research Methodology for Business and Management Studies: ECRM 2014 (p. 357). Academic Conferences Limited. Zuofa, T., Ochieng, E. G., & Burns, A. (2014). Appraising knowledge management perceptions among construction practitioners. Management, Procurement and Law, 168. Ruchi, J., & Surinder, K. International Journal of Scientific Research and Reviews. Insiroh, l., & hartono, u. (2014). pengaruh profitabilitas, ukuran perusahaan, pertumbuhan aset, dan struktur aset terhadap struktur modal. Jurnal Ilmu Manajemen (JIM), 2(3). Yensu, J. (2014). Capital structure, corporate cash holding and dividend policy in African countries (Doctoral dissertation, University of Southampton). Hoque, J., Hossain, A., & Hossain, K. (2014). Impact Of Capital Structure Policy On Value Of The Firm�A Study On Some Selected Corporate Manufacturing Firms Under Dhaka Stock Exchange. Ecoforum Journal, 3(2), 9. Younus, S., Ishfaq, K., Usman, M., & Azeem, M. (2014). Capital Structure and Financial Performance: Evidence from Sugar Industry in Karachi Stock Exchange Pakistan. International Journal of Academic Research in Accounting, Finance and Management Sciences, 4(4), 272-279. Malik, Q. A., & Saif, M. I. Idiosyncratic Effect of Corporate Solvency Management Strategies on Corporate Performance Valuation�A Study of Chemical Industry. Keswani, S., Goyal, S., Kanjwani, M., & Ramakrishna, V. Leverage Behavior of Indian InfoTech of the IT Sector�s Companies in Indian Stock Exchange. Kaur, A., Chitiavi, M. S., Musiega, M. G., Alala, O. B., Douglas, M., Christopher, M. O., ... & Grewal, C. D. E-Shopping-A Changing Shopping Trend. Qaderi, B., Rasouli, P., Bakmohammadi, S., & Hamekhani, S. Impact of Firm Specific Factors on Capital Structure Decision: Evidence from Iranian Listed Companies. Bonfim, L. R. C. (2014). As dimens�es da realidade social na forma��o e na instituucionaliza��o de uma rede de inova��o de ideias. Bebenroth, R., & Ismail, M. (2014). Cultural Openness, Interpersonal Justice, and Job Satisfaction among Millennials and Seniors: Evidence from Japanese Target Employees following M&A (No. DP2014-18). Aisyati, A., Jauhari, W. A., & Rosyidi, C. N. (2014). Periodic Review Model for Determining Inventory Policy for Aircraft Consumable Spare Parts. Rol�, G. A., & TURGUT, H. Algilanan �rg�tsel Destegin Isletme Performansina Etkisinde I�. Ren, Z., Jia, J., Guo, Q., Zhang, K., & Cai, L. (2014, July). Acoustics, content and geo-information based sentiment prediction from large-scale networked voice data. In Multimedia and Expo (ICME), 2014 IEEE International Conference on (pp. 1-4). IEEE. Plaan, K. (2014). Pakendi roll ostuotsuse kujunemisel AS Rannarootsi Lihat��stuse n�itel (Doctoral dissertation, Tartu �likool). Adam, M. A., & Ali, K. (2014). Impact of Verbal Elements of Packaging of Packaged Milk on Consumer Buying Behavior. International Journal of Business and Social Science, 5(5), 1. Shekhar, S. K., & Raveendran, P. T. (2014). The Fifth �P�that Sells! Examining Consumer Behaviour towards Visual and Informational Elements of Product Packages. Asian Journal of Management, 5(1), 55-61. Ruz, J. C. (2014). Production of visual message through packaging: a conceptual model to analyze the code. An�lisi, (51), 35-48. Xu Chen snow. (2014). The Turnover research progress. Operation and management, (4), 124-128. Horng, J. S., & Lin, J. S. (2014). Self-Owned Brand Rises from the Ash Marketing Advertising of LUXGEN and Its Role in the New Automobile�s Brand. Huang, S. Y. (2014). A Web-Based Tool for Product Ideas Screening and Lifestyle Analysis. Mathematical Problems in Engineering, 2014. Shamsuzzoha, A., & Helo, P. T. (2014). Virtual business process management within collaborative manufacturing network: an implementation case. International Journal of Networking and Virtual Organisations, 14(4), 319-339. NZEKWE, K. C. L. (2014). Assessment of organisational leadership for knowledge management practice in the nigerian construction industry (doctoral dissertation). Ghorbel, N., Addouche, S. A., EL-MHAMEDI, A., & Boujelbene, Y. (2014, December). Replenishment policies in static and dynamic spare parts inventory control: A survey. In International Journal of Engineering Development and Research (Vol. 2, No. 4 (Dec 2014)). IJEDR. TURGUT, H. Algilanan �rg�tsel Destegin Isletme Performansina Etkisinde I�. �zdemirci, A., & Behram, N. K. (2014). Linking human resources practices to corporate entrepreneurship: The mediating role of perceived organizational support. Business Management and Strategy, 5(1), pp-56. Xu Chen snow. (2014). Turnover research progress. Operation and management, (4), 124-128. TASTAN, S., ISCI, E., & ARSLAN, B. (2014).�rg�tsel destek algisinin ise yabancilasma ve �rg�tsel bagliliga etkisinin incelenmesi: istanbul �zel hastanelerinde bir �alisma. Pamukkale University Journal of Social Sciences Institute/Pamukkale �niversitesi Sosyal Bilimler Enstit�s� Dergisi, (19). PAUL, C. A. (2014). An appraisal of performance measurement practice of construction firms in nigeria (doctoral dissertation). Ibrahim, I., Githae, W., & Diang’a Stephen, I. (2014). Indigenous Contractors Involvement and Performance in Construction Procurement Systems in Nigeria. Global Journal of Researches In Engineering, 14(1). Gupta, S., & Vyas, M. A. (2014). Benefits and Drawbacks of M-Commerce in India: A Review. Benefits, 3(4). ﻿Rolü, G. A., & TURGUT, H. Algılanan Örgütsel Desteğin İşletme Performansına Etkisinde İç. HimaBindu, T., & Meena, G. L. (2014). financial services in india-an overview. Asia Pacific Journal of Research Vol: I Issue XIV. Safa, N. S. (2014). Modelling of multi-dimensional loyalty in electronic commerce (Doctoral dissertation, University Malaya). Sahu, S. K. (2014). Development of decision support systems towards supply chain performance appraisement (Doctoral dissertation). Kaur, J. (2014). emotional intelligence: predicting work role innovation in banking sector. International Journal of Organizational Behaviour & Management Perspectives, 3(1), 778-787. RACHNA, P. S. Technological Transition Phases in Indian Banking Sector. Garg, D. banking sector in india-current state of environment. KUMARI, D. banking sector in india: perspectives and prospects. Mishra, V., & Singh, V. (2014).Factors affecting the adoption or acceptance of internet banking services: a review and analysis of past research. International Journal of Electronic Business, 11(3), 234-255. Sharma, E. (2014). A Study on Performance of Indian Commercial Banks and its Relationship with Human Aspects in Banking (Doctoral dissertation, jaypee institute of information technology). Mishra, P. S., & Dehuri, S. (2014). Potential Indicators Based Neural Networks for Cash Forecasting of an ATM. International Journal of Information Systems and Social Change (IJISSC), 5(4), 41-57. Manikyam, K. R. (2014). Indian Banking Sector�Challenges and Opportunities. IOSR Journal of Business and Management, 16(2), 61. Gachora, J. W., Kibet, J., & Musiega, D. (2014). Supply Chain Cost Reduction Impact on Performance of Small Scale Agricultural Enterprise. International Journal of Education and Research, 2(4), 377-390. Triki, C., Oprea, S., Beraldi, P., & Crainic, T. G. (2014). The stochastic bid generation problem in combinatorial transportation auctions. European Journal of Operational Research, 236(3), 991-999. Jagongo, A. O., & Agarwal, R. (2014). Guidelines on strategy and practice in agriculture value chain finance and there effects on financial performance of edible oil industry in Kenya (desk research study). Triki, C. (2014). The Role of Collaborative Procurement of Transportation Services in Improving the Green Supply Chain Management. International Journal of Innovation, Management and Technology, 5(4), 314. Singh, V., Verma, D. K., & Singh, G. (2014). Processing Technology and Health Benefits of Green Tea. Popular Kheti, 2, 23-30. Horng, J. S., & Lin, J. S. (2014). Comparison on ads or not? Influence of Referent on Advertising Effectiveness. Punyateera, J., Leelasantitham, A., Kiattitsin, S., & Muttitanon, W. (2014, December). Study of service desk for NEdNet using incident management (Service Operation) of ITIL V. 3. In Asia-Pacific Signal and Information Processing Association, 2014 Annual Summit and Conference (APSIPA) (pp. 1-6). IEEE. Fichter, K., Fuad-Luke, A., Klofsten, M., Bergset, L., Bienkowska, D., Clausen, J., ... & Cabrera Viancha, P. (2013). Support Systems for Sustainable Entrepreneurship and Transformation (SHIFT). Work Package 1: Theoretical Foundation. ﻿Russo, G., Lombardi, R., & Mangiagli, S. (2013). The Tourist Model in the Collaborative Economy: A Modern Approach. International Journal of Business and Management, 8(7), 1. ﻿Anyanful, t. k., & nartey, e. d. critical success factors in supply chain management in the banking sector in ghana. Anyanful, t. k., & nartey, e. d. critical success factors in supply chain management in the banking sector in ghana: introducing socio-economic factors and availability of financial resources. Turyakira, P., & Mbidde, C. I. (2013). Networking for SMES in Uganda: A Proposed Hypothesised Model. Copyright© 2013 Nelson Mandela Metropolitan University Business School All rights reserved. Published by Nelson Mandela Metropolitan University Business School PO Box 77000, Nelson Mandela Metropolitan University, Port Elizabeth, South Africa., 128. Yang, Y., Cui, P., Zhu, W., & Yang, S. (2013, October). User interest and social influence based emotion prediction for individuals. In Proceedings of the 21st ACM international conference on Multimedia (pp. 785-788). ACM. Wardhana, G. H. (2013). Pengaruh profitability, asset tangibility, dan institutional ownership terhadap struktur modal dan dampaknya pada kebijakan dividen (studi pada industri manufaktur di bursa efek indonesia periode tahun 2009-2011) (doctoral dissertation, diponegoro university). ﻿de Andrade, M. D. M. C. (2013). At what extent does management influence export performance? A meta-analysis of its determinants and dimensions. Varaprasad, G., Sridharan, R., & Anandakuttan B, U. (2013). Internet banking adoption in a developing country�an empirical study. International Journal of Services and Operations Management, 14(1), 54-66. Subha, M. G., & Bhaskar, S. Supply Chain Performance Enhancement using Industrial Engineering Methods. Lin, J. S., & Huang, S. Y. (2013). Apply Web-based Analytic Tool and Eye Tracking to Study The Consumer Preferences of DSLR Cameras. Zuhyle, S., & Gunaratne, R. L. (2013). Customer Lifecycle Management practices in the telecom sector in Sri Lanka and Bangladesh: Supply side perspective. Liu, L. (2013). Cultural Differences in Design-based Product Evaluation: The Role of Holistic and Analytic Thinking (Doctoral dissertation, Kiel, Christian-Albrechts-Universit�t, Diss., 2013). Ndungu, H. (2013). The Effect of Internal controls on revenue Generation: A Case study of the University of Nairobi Enterprise and Services Limited (Doctoral dissertation, University of Nairobi). HANNAH, N. (2013). The effect of internal controls on revenue generation: a case study of the university of nairobi enterprise and services limited. Uusma, S. (2013). Tervikliku m��gijuhtimise p�him�tted Elisa Eesti AS �rikliendi�ksuse n�itel (Doctoral dissertation, Tartu �likool). Tie�yte, L., & Kuzinas, A. vaizdo spalvos ir formos saveikos vaidmuo �iurovo emocijoms. jaunuju mokslininku psichologu darbai, 49. Raghuwanshi, S. (2013). The Study Over Supply Chain Management In Malls of Indore City. European Journal of Business and Management, 5(16), 91-96. Chinje, N. B. (2013). Customer Relationship Management (CRM) Implementation within the Banking and Mobile Telephony Sectors of Nigeria and South Africa (Doctoral dissertation, University of the Witwatersrand, Johannesburg). Yu, P., & Hee Lee, J. (2013). Optimal technology selection considering input levels of resource. Industrial Management & Data Systems, 113(1), 57-76. Aziz, M. S. A., Lindgaard, G., & Whitfield, T. A. (2013). The Design and Usability Testing of daccade�a tool supporting systematic data collection and analysis for design students. In Human-Computer Interaction�INTERACT 2013 (pp. 487-494). Springer Berlin Heidelberg. Fan Haifeng, & Hu Yuming. (2013). R & D spending, institutional investors and corporate earnings. Research Management, 34 (7), 24-30. Ossadnik, W., Kaspar, R. H., & Schinke, S. M. (2013). Constructing a Tailor-made Performance Management System Supported by Knowledge Elicitation Tools and Dynamic Modeling. Khasawneh, R., & Abu-Shanab, E. (2013). Factors Influencing Group Decision Making Performance in a GSS Enabled Environment. Computer Science and Information Technology, 1(2), 145-152. Leekha, S., & Kukreja, T. indian banking industry: challenges and opportunities. Cardin, M., Eisenberg, B., & Tibiletti, L. (2013). Bid pricing in online auctions with �Buy-it-Now� option. Applied Mathematical Sciences, 7(50), 2489-2500. Gupta, S. K. current state of banking sector in india. Gallien, D. I. F. C., & Posch, W. (2013). Betriebliches Energiemanagement�Analysen, Methoden und Bewertungsmodelle zur Effizienzsteigerung. BHM Berg-und H�ttenm�nnische Monatshefte, 158(7), 286-289. Piva, E., & Rossi-Lamastra, C. (2013). Systems of indicators to evaluate the performance of university-industry alliances: a review of the literature and directions for future research. Measuring Business Excellence, 17(3), 40-54. ﻿Kapoor, V., Adhikari, K., & Shahani, R. Evaluating the performance characteristics of select bank funds using popular and advanced measurement tools. 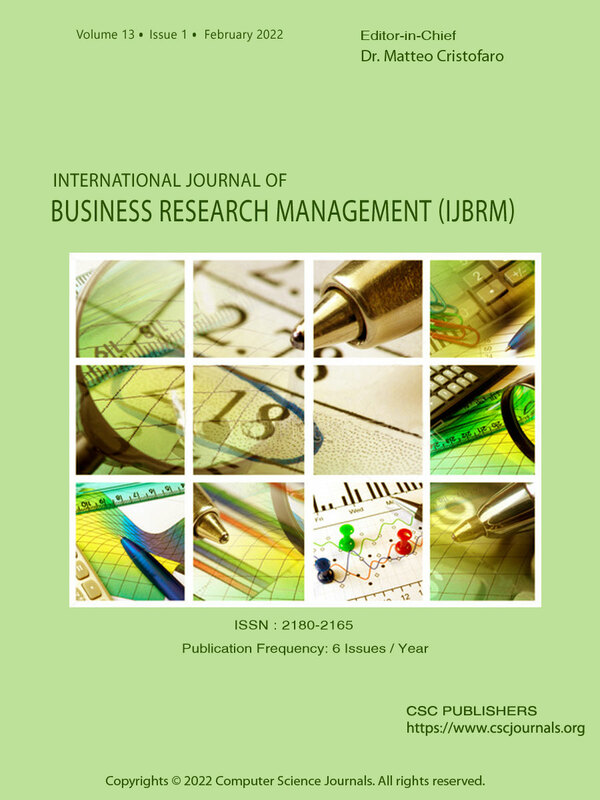 International Journal of Management & Behavioural Sciences (IJMBS). Venkatesh, J., Shivaranjani, G., Thenmozhi, S., Balasubramanie, P., & Gandhi, S. M. The Modern Drift: Significance of Adversity Quotient and Challenges faced by the Indian Banking Sector. Gunawan, S., Suwignjo, P., & Vananny, I.pengembangan model performance measurement di pendidikan tinggi dengan integrasi metode balanced scorecard (bsc) dan european foundation quality management (efqm)(studi kasus program studi teknik industri pts x). Ali Malik, Q. (2013). Accounting Based Measures As Determinants Of Corporate Performance Valuation (Doctoral dissertation, Foundation University, Islamabad). Nieto, L., & de Jes�s, T. (2013). Marco para la definici�n y adecuaci�n de una" service management office" en el contexto de los servicios de tecnolog�as de la informaci�n. Mohajeri, H., Zamani, M., & Zainal-Abidin, W. (2013). VoIP Architecture and Cost Optimization in UTM. In 13th WSEAS International Conference on Applied Computer Science. Andrade, M. D. M. C. At what extent does management influence export performance? A meta-analysis of its. Goyal, K. A. A Case Study on Prediction of Corporate Failure for Scooters India Ltd.
﻿Varaprasad, G., Sridharan, R., & Anandakuttan B, U. (2013). Internet banking adoption in a developing country–an empirical study. International Journal of Services and Operations Management, 14(1), 54-66. Jain, Y., & Soni, K. Distinctive Marketing Challenges of Banking Services: Indian Perspective. International Journal of Social Science & Management, 13. Ogbonnaya, C., Daniels, K., Tregaskis, O., & Van Veldhoven, M. (2013). 11. Using HPWP to drive towards growth: the impact of occupational health and safety leadership. How Can HR Drive Growth?, 228. Das, S. K. (2013). Social and innovative banking strategies for sustainable banking in India. International Journal of Economics, Finance and Management, 2(2). Kumari, R. (2013). Indian Banking Industry: Challenges and Opportunities. International Journal of Research in Economics & Social Sciences, 3(10). Kumar, K. P., & Archana, M. (2013). Indian banks-Searching for new frontiers of growth. SAARJ Journal on Banking & Insurance Research, 2(2), 8-16. ﻿Yenilmez, F. (2013). Ambalaj Tasarımında Kullanıcı Deneyimi: Bir Zeytinyağı Ambalajı Üzerinden Değerlendirme (Doctoral dissertation, Fen Bilimleri Enstitüsü). ﻿Fan Haifeng, & Hu Yuming. (2012). Institutional Ownership and R & D expenditure is a theoretical and empirical study based on China stock. FO, E. Evolving Business Excellence Framework for Organization agility. Mortan, M., Ratiu, P., Suciu, L. E., & Veres, V. (2012). The potential and limits of the fruits-vegetables sector in Romania. Competitiveness of Agro-Food and Environmental Economy, 1(2012), 150. Ramadan, I. Z. (2012). The Impact of Institutional Investors on Firms Accounting Flexibility: Evidence from Jordan. International Journal of Economics and Finance, 4(6), 141. Jalaliyoon, N., Bakar, N. A., & Taherdoost, H. (2012). Propose a methodology to implement blance score card for operational appraisal of industrial groups. International Journals of Marketing and Technology, 2(10), 269-278. Rao, D. (2012). Trends in hypertension. Indian heart journal, 64(2), 132. Tang, J., Zhang, Y., Sun, J., Rao, J., Yu, W., Chen, Y., & Fong, A. C. M. (2012). Quantitative study of individual emotional states in social networks. Affective Computing, IEEE Transactions on, 3(2), 132-144. Tao, S., & Zhong, Y. (2012). Research and Development of Green Packaging Structure Design. Advanced Science Letters, 10(1), 225-228. Idris, M. I. I. (2012). The Impact of Ownership Structure and External Audit on Accruals and Real Activities Earnings Management in Jordan (Doctoral dissertation, University of Gloucestershire). Potgieter, D. M. (2012). Constraints experienced in managing Triple Helix in South Africa/Doret Potgieter (Doctoral dissertation, North-West University). Seppo, M., & Lilles, A. (2012). Indicators measuring university-industry cooperation. Discussions on Estonian Economic Policy, 20(1), 204. Mistry, D. S., & Singh, S. K. (2012). A Study of Cost and Sales Trend of Indian Passenger Vehicle Industry as Determinants of Profitability. JIM QUEST, 8(2), 21. Jalaliyoon, N., Bakar, N. A., & Taherdoost, H. (2012). Implementation of BSC and EFQM Using TOPSIS Method. Management (IJARM), 1(1). Srikanth, V. (2012).international journal of computer engineering & technology (IJCET). Journal Impact Factor, 3(2), 238-255. Jalaliyoon, N., & Taherdoost, H. (2012). Propose a Model to Design and Implement Key Operational Indicators Relate to Performance Evaluation in Industrial Group. Archives Des Sciences, 65(8), 28-35. Beilinson, N. (2012).design process of a customer support website (Doctoral dissertation, Aalto University). Agami, N., Saleh, M., & Rasmy, M. (2012). Supply chain performance measurement approaches: Review and classification. Journal of Organizational Management Studies, 2012, 1. Resurreccion, P. F. (2012).Performance management and compensation as drivers of organization competitiveness: The Philippine perspective. International Journal of Business and Social Science, 3(21), 20-30. Tarabieh, S. M. A., & Al-alak, B. A. customer orientation, supplementary services, differentiation advantage, and organizational perforamce in the banking industry. in afbe 2012 conference papers (uniten) (p. 509). Jalaliyoon, N., Bakar, N. A., & Taherdoost, H. (2012). Implementation of Balanced Score Card and European Foundation for Quality Management Using TOPSIS Method. Management (IJARM), 1(1). Alqatan, S., Singh, D., & ahmad, K. (2012).study on success factors to enhance customer trust for mobile commerce in small and medium-sized tourism enterprises (smtes)--a conceptual model. journal of theoretical & applied information technology, 46(2). FAN, H., HU, Y., & LI, Z. Earning Management, Institutional Investors and R&D Expenditure. Bersenaite, J., Cibulskiene, D., Gudiene, A. B., & Tijunaitiene, R. (2011). Identifying Barriers to Science Business Interaction. Mokslo darbai, 16. Sandhu, M. S., & Thakur, M. S. shiv shakti. Koo, D. Development of Effective Extracurricular Construction Technology Educa-tion Programs for University and Industry Collaborations. van Biljon, W., & van Rensburg, M. J. (2011). Branding and packaging design: key insights on marketing milk to low-income markets in South Africa. African Journal of Business Management, 5(22), 9548-9558. Onyia, O. P., & Tagg, S. K. (2011).Effects of demographic factors on bank customers� attitudes and intention toward Internet banking adoption in a major developing African country. Journal of Financial Services Marketing, 16(3), 294-315.
de Freitas Alves, G., & Monteiro, S. B. S. Gest�o de Riscos na Execu��o de Servi�os de TI em Contratos Baseados na Instru��o Normativa 04/2010. Chou, M. C. (2010). The Maximum Findability of Bottle Packaging Design (Doctoral dissertation). II, B. (2009). Kajian Pustaka. Jurnal dan Kewirausahaan Vol, 9(1), 23-32.